A name you can trust in electrical exporting industry, Antares Electrical Distributors has been serving the international community since 1985. 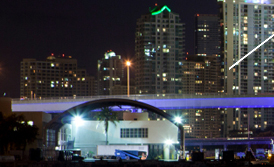 Based in the heart of greater Miami just a few miles away from Miami International Airport and a short drive from the Port of Miami, this exclusively export business is ideally positioned to meet all of your electrical needs. Featuring products ranging from explosion-proof electrical material and electrical distribution products, such as panels, transformers, wiring devices, cable and much, much more; Antares Electrical can get you a wide range of items from well-known manufacturers such as Square D (a Schneider Electric company), Appelton (The Emerson Electric Group), Leviton, Burndy, and more. For a full list of products, click here.